This Halloween, you can do more than just be in a fairytale... you can be the star of it, too. In our beautiful Plus Size Cinderella Classic Costume, you'll be the princess who went from scrubbing floors for her cruel stepmother, to dancing with Prince Charming at the ball of her dreams! All with the wave of a Fairy Godmother's wand. But unlike Cinderella, your magical carriage won't turn back into a pumpkin if you're not home by midnight (seriously, why did the Fairy Godmother make the deadline so early? Honestly, that's barely enough for a girl to have fun!). When you become Cinderella, the fairytale will last as long as you want it to! One reason you're not bound by such ridiculous "home by 12" deadlines is because this dress has a magic all its own. This sparkling blue gown features a fetching sweetheart neckline, a glittering front inset on the bodice, and flowing, silky tulle overlays at the hips and sleeves that look like something right out of a Hollywood musical. 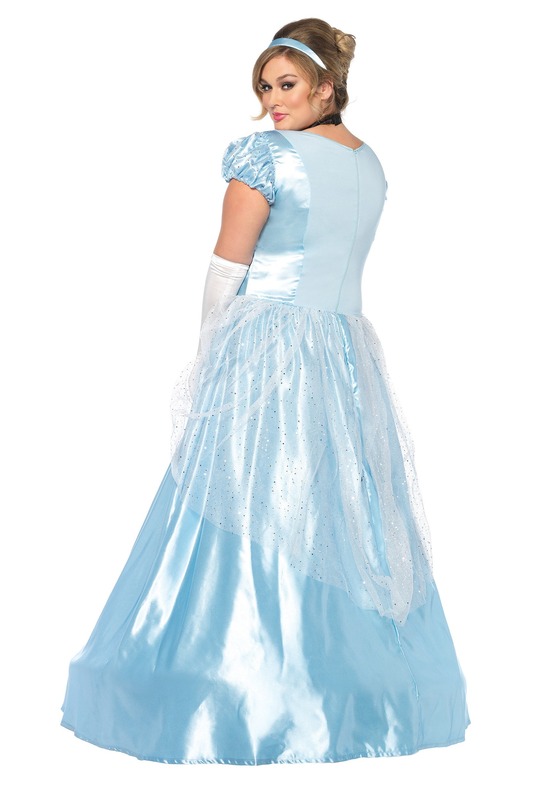 This costume also includes a satin-covered headband and the iconic black choker, assuring that there will be simply no mistaking you for everyone's favorite fairytale princess. 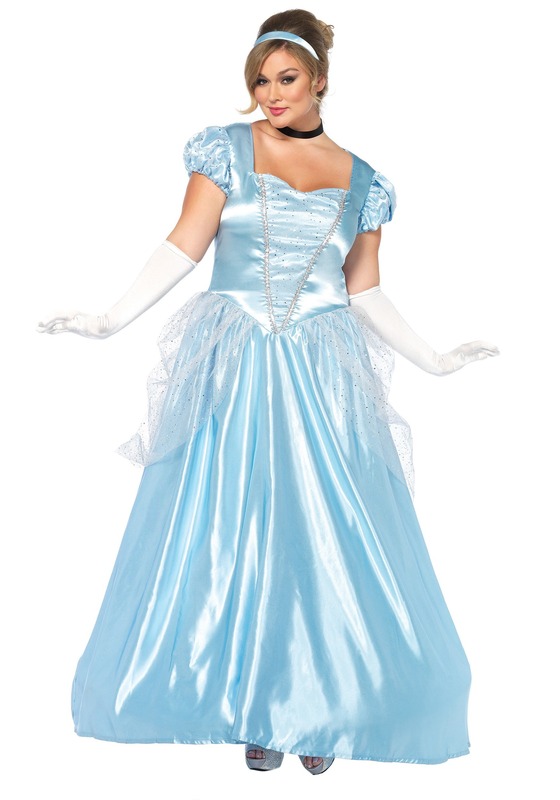 Best of all, the Plus Size Cinderella Classic Costume is both flowing and flattering, with a subtle but powerful beauty that will have you seemingly gliding across the ballroom floor. Just don't forget the accessories, including those iconic glass slippers, and you're on your way to a truly magical All Hallow's Eve!